Royal Ascot betting aficionados will know by now that Wesley Ward bullishness must be taken less with a pinch of salt than a fistful of dollars and the Florida handler has already spoken particularly warmly about a horse he has lined up for the 2018 Diamond Jubilee Stakes. Ward has long been a Royal Meeting raider par excellence, having visited its winner’s enclosure on nine separate occasions dating back to 2009. Refreshingly unafraid to talk up his charges’ chances if he feels they should be hard to stop, Ward’s appearances on Channel Four’s The Morning Line down the years repeatedly rewarded punters who invested in his optimism for tearaway winners like Hootenanny or No Nay Never. With his two-year-olds usually in possession of exceptional early speed, it will pay to keep your ear to the ground for information on them once his raiding party is confirmed in full. 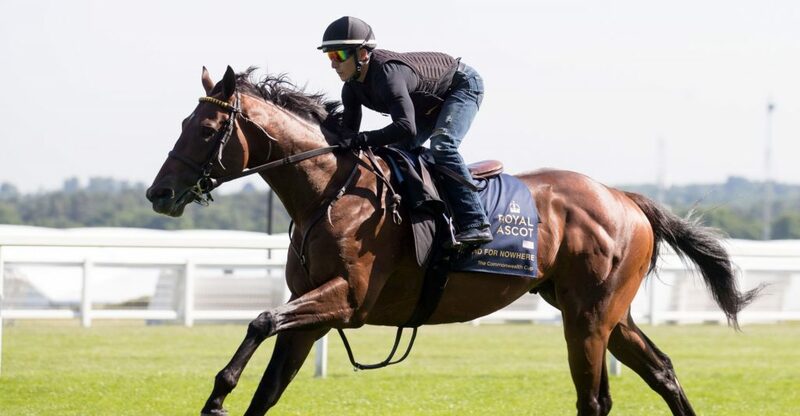 In the meantime, those with a predilection for ante-post punting may be interested to know that the trainer has already been speaking warmly about Bound For Nowhere’s 12/1-rated chances in the Diamond Jubilee Stakes. Ascot.co.uk’s Wesley Ward Royal Ascot Stable Tour saw him give the four-year-old, fourth in last season’s Commonwealth Cup, the most glowing write up of the horses mentioned. “Bound For Nowhere ran real well last year [finished fourth in the Commonwealth Cup] and he has had a couple of runs this year,” the 50-year-old the Berkshire track’s website. Ward knows exactly what it takes to win a Diamond Jubilee, having done so with Undrafted in 2015 and his Bound For Nowhere remains distinctly unexposed, having raced just five times. One of those came when his colt chased home the now-retired Caravaggio, as well as Harry Angel and Blue Point, in the Commonwealth Cup over course and distance at last year’s Royal Meeting. Not getting a clear run over a furlong out, he was switched left and may even have gotten closer to that illustrious trio with a clear run. Harry Angel is currently 5/2 ante post favourite for this year’s Diamond Jubilee, whereas Bound For Nowhere is five times the price, open to more improvement and subject to an upbeat bulletin from a trainer whose word can usually be trusted on these matters.